Netherlands Institute of Core Energetics (NICE) was founded in 2005 by Anna Timmermans. Here students - psychotherapists and other care professionals - are trained in the specific techniques, theory and practice of Core Energetics. Anna Timmermans is founder, owner and director of the Netherlands Institute of Core Energetics (NICE). Since 1982 she is a methods teacher and has her own practice. Anna is certified by the European Certification of Psychotherapy. She followed the Bio Energetics Analysis training and is trained in Core Energetics by John Pierrakos. She is co-owner of Cordium, center for growth and development in Nijmegen. Anna teaches also in Mexico. Her passion is to train Core Energetic therapists and to develop Core Energetics as an autonomous method of therapy in the Netherlands. "Born out of love and growing towards love" is the essence of life for me. In my work, I want to lead people to their own truth. This means for me to bring them in contact with their own life task, with the life lesson they - as souls - are searching for. To do this, you need to express what holds you back and face your own negativity. By transforming this negative material again and again and by going into the world with your love, you come in contact with what you truly want and become able to give shape to it. Since 1982, I have a therapy practice in Nijmegen. I came from feminist therapy, working with women's issues and exclusively female clients. After a while I started with a bodywork training. From then on, my practice became more and more body oriented and psychotherapeutic. First I was trained in Bio Energetic Analysis at the N.I.B.A. - where I was a trainer for many years. Later, I was trained as a Core Energetics therapist in Berlin and completed the Post Graduate study in New York. NICE works in close collaboration with other institutes around the word, associated in the International Association of Core Energetics www.iace.info. 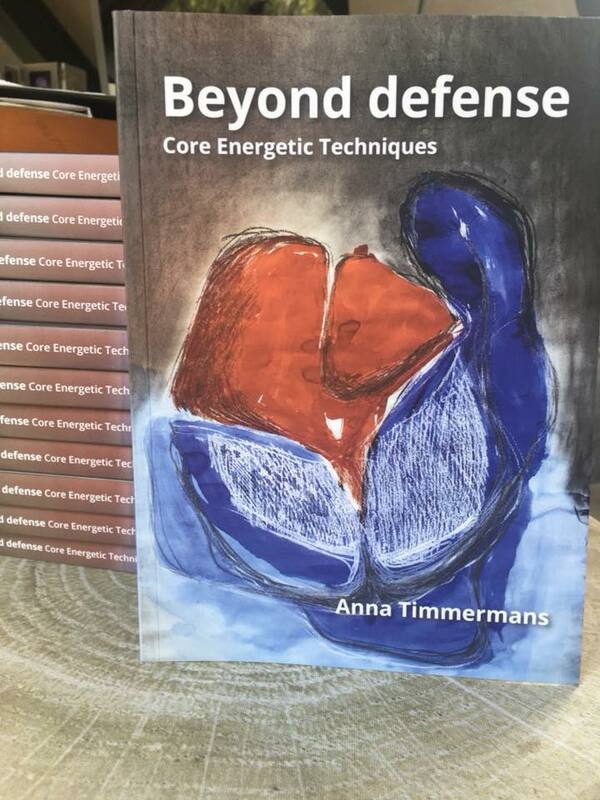 Anna Timmermans wrote a book with techniques used in Core Energetics. You can buy the book during NICE trainingmodules or order it at book@coreenergetica.nl . The price is € 30,00, shipping costs not included.